Celebrate National Cheeseburger Day at Mcdonalds on Monday, September 18! Get a Free Cheeseburger with any food or beverage purchase. 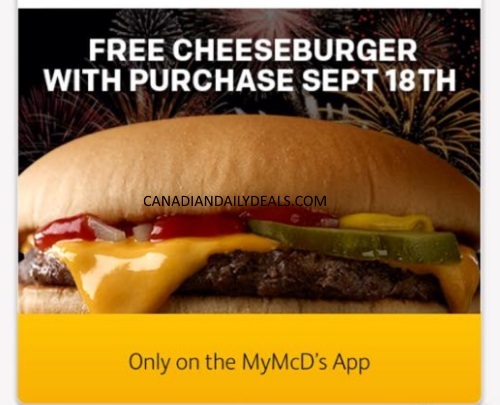 This offer is only available on September 18 and with the My McD's app! Limit 1 per customer. Minimum of $0.50 purchase required. Only valid when cheeseburgers are served.